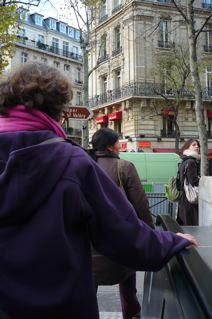 Purple coat and scarf, exiting the metro. 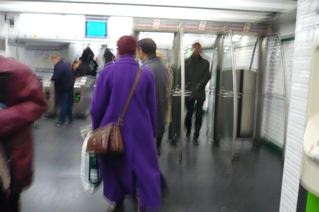 More purple people in the metro. 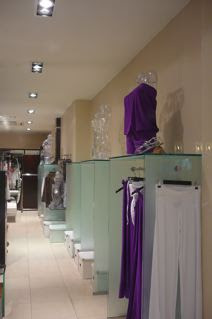 Purple pants in a chic boutique. Purple handbag, seen on the street. Another purple thing-y (what is this?) 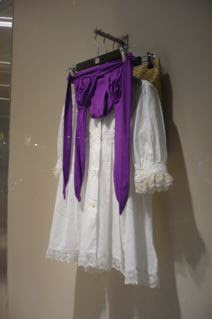 in anothe chic boutique. 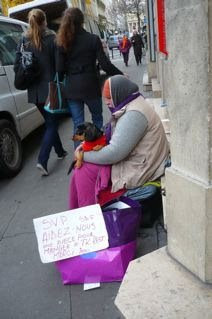 This being Paris, even the bag lady is in vogue.